Please vote and decide who has the best hadouken attack. Ken or Ryu? 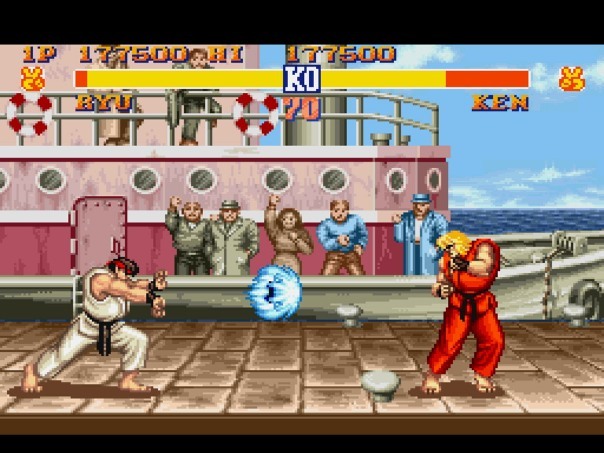 I voted for Ryu, because he also has the occasional red fireball glitch in this version of SFII. If the poll was about dragon punches, then Ken would have my vote. Thanks for letting me nerd out.